Over the past several years, there’s been an undeniable worldwide push toward more sustainable solutions for virtually everything. And when it comes to residential upgrades, tax credits offered by the U.S. government have worked wonders in stimulating the adoption of efficiency innovations. Many of these upgrades are expensive. 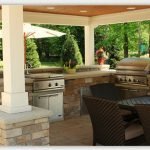 But the reality is that there are plenty of ways to save money during the purchase and installation process. Plus, the added value afforded by the right home upgrades often helps these projects pay for themselves before too long. A variety of commonly sought tax U.S. tax credits. For efficiency-boosting upgrades like insulation and roofing materials — expired at the end of 2017. However, there are still certain home upgrades that qualify for tax credits until the end of 2021, though the percentage rebate you’ll get will decrease after 2019. There are five types of items that qualify for tax credits during the 2019 tax year. The expired tax credits mentioned earlier were categorized as “energy efficiency” credits, while the credits that remain valid until 2021 are considered “renewable energy” credits. Here are the five types of home improvement projects that can help you catch a break when tax season arrives. Note: All of these upgrades must meet applicable fire and electrical code requirements. 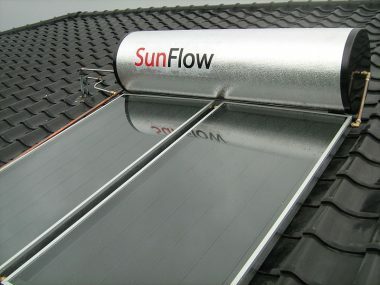 Residential solar water heaters installed between January 1, 2006 and December 31, 2019 qualify for the renewable energy tax credit for the 2019 tax year. The home serviced by the heater doesn’t even have to be your principal residence in order to earn you the credit. Your water-heating equipment needs certification by the Solar Rating Certification Corporation or another entity with a certificate by your state government. Plus, the system has to heat at least half of the applicable dwelling’s water to earn you the credit. When it comes to solar water heaters, you’ll have a variety of options, and each offers unique benefits. This makes it easier to find something that suits your energy needs. Even if your home’s location is in an area that’s always sunny. After installation, the perks of solar water heaters are fairly self-explanatory. They heat water using only the sun as fuel, which can help slash your water-heating bills significantly. Once again, eligible solar electric systems installed on or after January 1, 2006 and by December 31, 2019 can earn you a 30% tax credit. The home where the system is doesn’t have to be your primary residence. 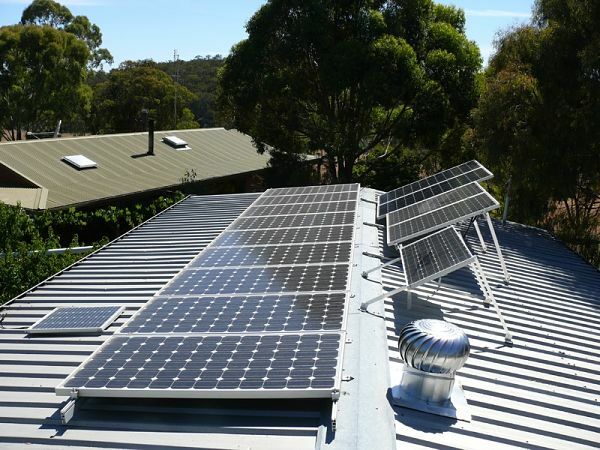 Solar electric systems aren’t the right choice for every home. But with the right conditions, this type of system can increase efficiency while cutting utility bills. As an added benefit, studies generally indicate that solar electric systems add considerable value to the price of a home. Requirements for fuel cells that can earn the renewable energy tax credit include that the cell must have a nameplate capacity of 0.5 kW or more, must rely on an electrochemical process, and must provide an electricity-online generation efficiency in excess of 30%. Fuel cells must also have been installed on or after January 1, 2006 and no later than December 31, 2019 for a 30% tax credit. Unlike the prior upgrades, fuel cells must service the taxpayer’s primary residence. Fuel cells provide power through a process that’s both clean and exceptionally efficient. The process uses clean fuels, such as hydrogen, and is versatile enough to endure numerous applications. Eligible wind-energy systems must have been installed on or after January 1, 2008 and by December 31, 2019 to qualify for the 30% tax credit. They don’t have to service your principal residence. A small wind electric system uses a turbine, a tower, and various additional equipment to harness the power of strong wind, which in turn generates energy. Under the right conditions and with proper use and installation, such a system can drastically reduce a home’s electricity bills. Wind electric systems are also a great choice for properties that have not already a power line supply. Geothermal heat pumps must have entered service no earlier than January 1, 2008 and no later than December 31, 2019. Eligible pumps must meet Energy Star criteria. The pump doesn’t have to service your primary residence. Your property’s landscape will contribute to whether you’re actually able to use a geothermal heat pump, so note that this is another option that might not be right for everyone. Another excellent option for the homeowner who’s seeking to maximize efficiency, geothermal heat pumps can use up to 50% less energy than traditional heating and cooling systems. Other benefits include enhanced humidity control and next-level durability to due to the minimal reliance on moving parts. While many of these residential renewable energy upgrades carry high up-front costs, they all offer long-lasting benefits that can help you save money in the long run. And that’s not even taking the 30% federal tax credit into consideration. The best part? If you do your research, you may even be able to find additional state tax credits that allow you to cut your project’s price tag even further. Home improvement loans: Home improvement loans are fairly standard personal loans precisely tailored to individuals undertaking home improvement projects. They’re available with many features through various financial institutions, and can be both secured and unsecured. 0% intro APR credit cards: Certain credit cards offer introductory periods with 0% APR. Typically ranging from about six to 18 months. This can allow you to rack up charges and pay them off over several months without accumulating interest as you typically would with a credit card or a loan. Just be sure to pay off your project before the introductory period ends, or else your balance will incur additional fees. Home equity: Tapping into your home’s equity through a home equity line of credit (HELOC) or a home equity loan is one popular way to upgrade the home. It’s a secured form of credit, so you might get lower interest rates than with a personal loan. Sean Messier, a credit industry analyst with Credit Card Insider, is a seasoned writer who strives to empower individuals with practical personal finance knowledge. His diverse professional background has granted him experience in an array of topics, from finance to business and beyond, and he specializes in the realm of credit.